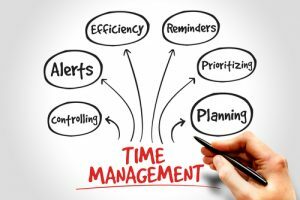 One of the most useful skills that every Florida National University (FNU) graduate learns, and more often than not, master is the art of time management. Every job, whether it’s paying minimum wage or a high level executive position, requires organization. Organization can only be achieved through the proper use of time management. For some, time management comes naturally. For others, it needs to be taught. That is why colleges and universities, like FNU formulated a strict academic curriculum designed to challenge a student’s ability to not only comprehend the material within each course, but to successfully manage completing the assignments. This is why the first day of each semester can sometimes be a bit overwhelming, especially for first-year college students. Each year within a semester, the courses will intensify, becoming more challenging, demanding more out of students. 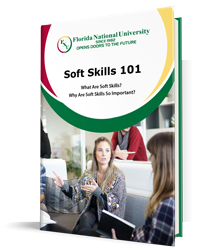 So the sooner one gets organized in his/her academic career, the better he or she will be able to manage those higher-level courses, making his/her learning experience that much easier. Along with paying one’s tuition and purchasing the required books for each course, the best thing a student can do to make his or her academic career a little easier is to purchase a calendar. In today’s world, all one has to do is use his or her smartphone. Most email accounts now have calendars. Whatever method of planning works, use it! A student will not be able to have a successful academic career without being able to map out their assignments onto a calendar. It is the tried and true way to determine which course requires top priority and which assignments can be put off a couple days—maybe even weeks later. Most calendars give users the option to organize their tasks by the month, week, and day. When acquiring a college degree, all three are necessary. It is important to look at the big picture by the month. It’s helpful for some students to look at the big picture by breaking it up into weeks. Yet, in order to fulfill those weekly duties, the daily tasks need to be completed. That is why it is highly recommended to create a weekly and daily priority list, which again, can be found in most calendars. As aforementioned, the beginning of every semester can sometimes be overwhelming. Just reviewing a syllabus for one course may be enough to make a student say to him or herself, “I can’t do this!” and run straight to the registrar’s office to drop the class! Completing these classes is something that can be achieved. Hundreds of FNU alums can attest to this. All it takes is the enforcing of proper time management skills. After getting over the initial shock of the amount of work that one is expected to complete in one semester, it is then time to assess the syllabus by looking at the assignments and due dates, then implementing them into one’s own planning calendar. Step 3: Plan! Plan! Plan! Before sketching out one’s assignments into a calendar, it is important for students to determine how much personal time is needed. Personal time is just as important as setting time aside for academic work. Without proper rest and time to just give one’s brain a break, one can easily get burned out, becoming fatigued and restless, resulting in being unable to stay focused enough to study. There should always be a certain amount of time set aside for studying outside of class. One should take into account how much time it’s going to take to organize and read lecture notes, as well as complete homework tasks. Although one can estimate an amount of time, doesn’t mean that one will be able to complete his or her coursework within that time period. Be prepared to sometimes go over in that time slot that one has organized for him or herself. A study schedule needs to be flexible. If other commitments do not allow one to spend more time studying, refer to the planning calendar to determine what other tasks and appointments can be shortened to make more time for studying. TIP ->>> Organize study time in hourly blocks. It can be argued that this is a life long task, but it is a step in the right direction. It is important for a student to know their limitations, what he or she is capable of. Oftentimes, it is a journey of self-discovery, as one may not know how far he or she can go until he or she actually fulfills a task. At any rate, it is a step that needs to be assessed on a daily basis in order to plan effectively. For instance, it may not be wise to schedule two hours worth of study time, while one’s favorite television show is airing, or perhaps even the morning after a long evening of festivities knowing that one may be extremely exhausted the day after. Maybe it’s not the smartest thing to drink multiple cups of caffeinated coffee when the alarm clock is set for 5:00 a.m. the next morning. Some students may be able to function well with these habits, but others may not. It is up to each student to know his or her own limitations. FNU understands the weight of academic responsibility our students must manage. That is why we are committed to making sure that they are fully equipped to successfully complete each course with ease. With the assistance of FNU, there is no need to be intimidated by a lengthy syllabus. Get ready to manage your academic time like a true FNU scholar! Just contact our admissions department to get the enrollment process started today!